While Trek began as a prime example of episodic sci-fi, the gradual evolution of television writing and audience tastes have impacted it in hugely impactful and exciting ways. 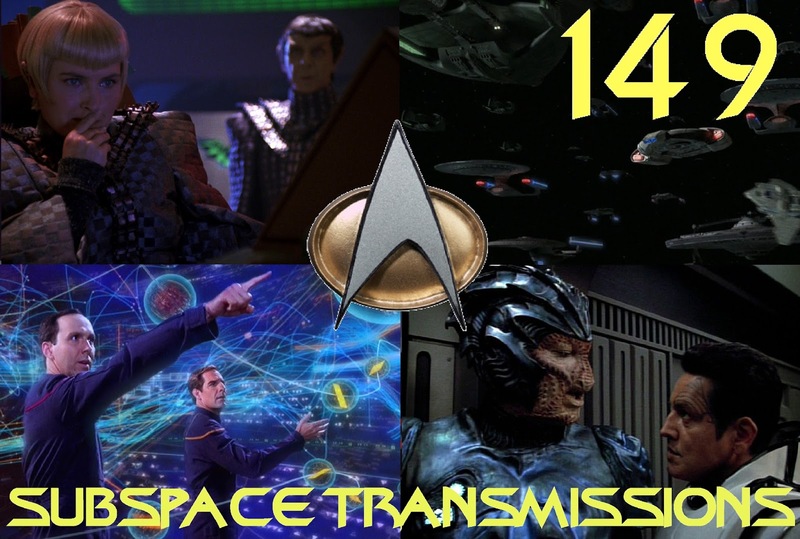 With the heavily serialized Discovery waiting in the wings, this week sees hosts Cam Smith and Tyler Orton, along with special guest Carmin Carotenuto of the Adventure.exe podcast, taking a good hard look at the franchise's history of multi-episode narrative arcs. Beginning with the somewhat accidental three-part Christopher Pike saga, the trio scrutinize the highs (the Dominion War, the Xindi conflict) and lows (the Temporal Cold War) in order to determine which elements make long-form storytelling, and which mistakes break it. Plus, each of the crew chime in with their own hopes and concerns regarding Discovery and its place in this brave and bold new entertainment landscape. Wanna appear on the show? Shoot us a 30 to 60-second audio clip telling us what you think are STAR TREK'S BEST & WORST STORY ARCS and you could take the spotlight in an upcoming program! You can also send any other questions, topic ideas or feedback to subspacetransmissionspod@gmail.com! Join us next week as we introduce a beginner to the world of Trek!